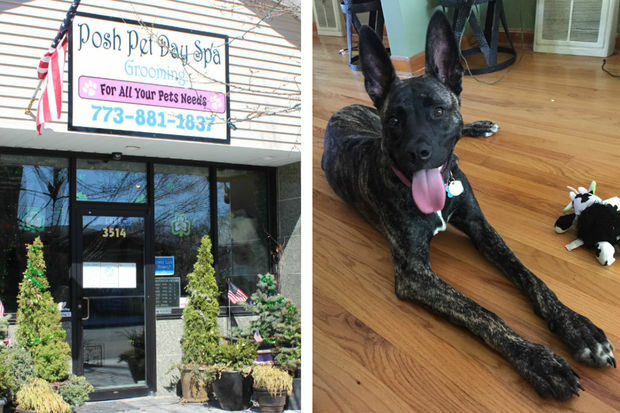 Mya (right) was a frequent visitor of Posh Pet Day Spa in Mount Greenwood. Her owner said he picked the German shepherd mix up from the doggie day care March 11 and found her wearing a shock collar. 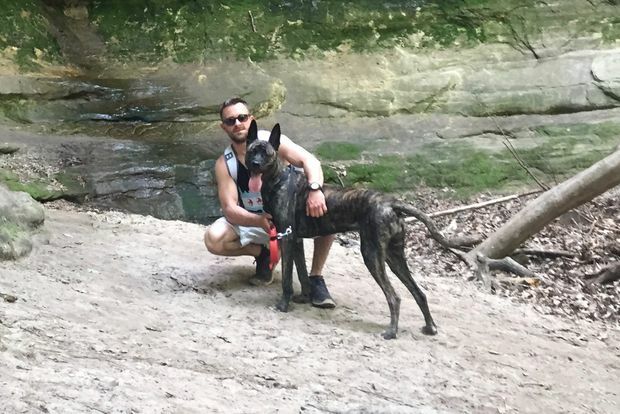 MOUNT GREENWOOD — A Mount Greenwood dog owner said he was shocked to find a shock collar on his German shepherd mix when picking her up recently from a nearby doggie day care. Luke Mullaney picked up Mya at Posh Pet Day Spa March 11 after spending the day working around the house. The rescue dog suffers from anxiety, and the day care at 3514 W. 111th St. seemed like a good way to help her socialize, said Lauren Mayer, Mullaney's girlfriend. In the car outside the day care, Mullaney found Mya wearing a second collar that appeared to be a shock collar. He took a picture of it and immediately confronted the employee who fetched Mya from the back room. "She didn't seem apologetic — more defending herself," Mayer said Wednesday. Mullaney said he later talked to the spa owner, who he said told him the collar was designed to vibrate, not shock, dogs for barking. But he and Mayer used the pictures of the device to look up the specifics about the collar online. The collar is designed to curb barking, according to the instructions Mayer posted on Facebook. A series of warning tones are used first. Then if the barking continues, the collar delivers a shock. The collar says it's designed to react only to a dog's specific bark. Regardless, Mayer said neither she nor Mullaney gave the day care permission to use the collar. Their 2½-year-old rescue dog had been going to Posh Pet about twice a week for the last six months. She also said her dog rarely barks outside the house, though Mya's anxiety does sometimes causes her to cry or whimper in a foreign environment. She theorized that may have that led the spa to use the shock collar. "She is crying because she is scared. And she is scared because she has a shock collar on," Mayer said. A Posh Pet employee denied the accusations Wednesday afternoon and promised to pass along a request for further comment to the store's owner. A follow-up phone call confirmed the request had been received but elicited a "no comment" response from the call taker. Mayer said her concern over the incident was exacerbated by the No. 6 written on the shock collar placed on Mya. The number was written on the black collar with a white marker, she said. "The first thing I realized [was] that if there's a No. 6 on it, there must be five others," she said. Frustrated, Mayer posted her experience on a neighborhood Facebook page along with pictures of the shock collar and a description of the device. Several residents came to the defense of the neighborhood business. "I wanted to believe that this was an accident," Mayer said. But many others piled on, including another dog owner who said her dog also once emerged from the back room wearing a shock collar. This owner also posted a picture of a collar that had a No. 7 scrawled on it with a white marker. "I just want people to know that this is happening," Mayer said. "I'm kind of sick to my stomach at the response I've gotten."